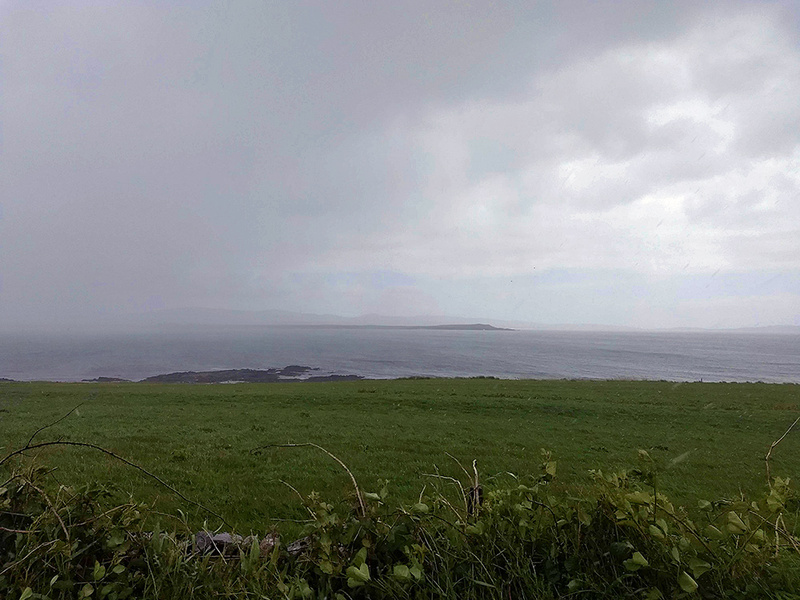 A heavy rain shower coming in over Loch Indaal, seen from the Rhinns of Islay. Laggan Point just visible in the distance, it soon after disappeared behind the rain. 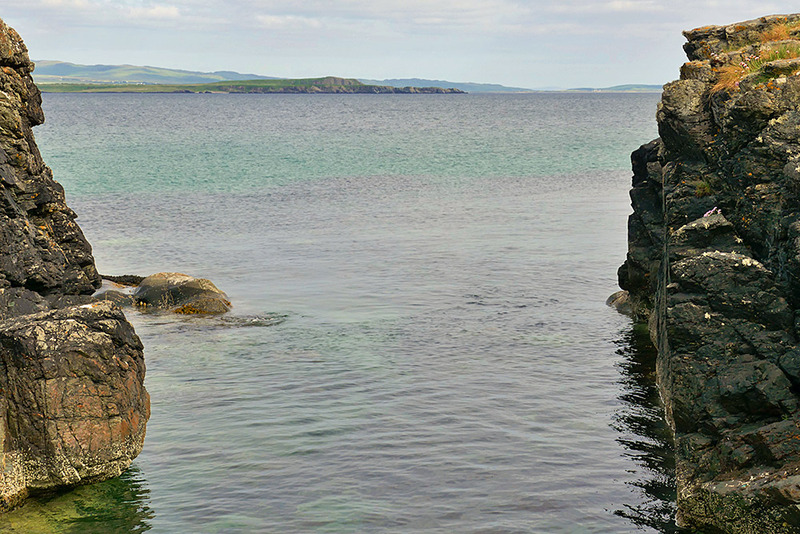 A view from the southern end of Port Charlotte on the Rhinns of Islay across Loch Indaal to Laggan Point. A June evening on the Rhinns of Islay, suddenly the sun broke through the clouds and created some beautiful dramatic light. 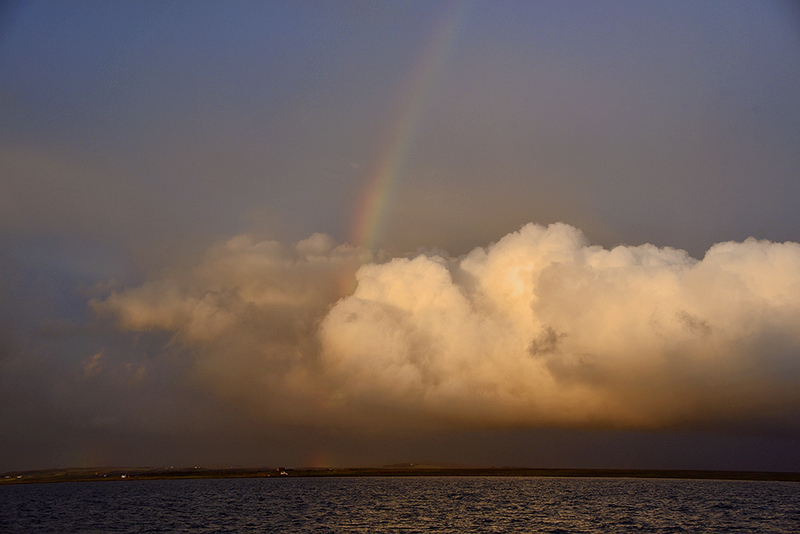 A rainbow appeared above a cloud between Bowmore and Laggan Point. Picture taken from Shore Street, Port Charlotte.